Srinika Narayan, M.S. helps patients with a wide range of health issues using Nutritional Analysis. She works with clients at her office and in remote sessions. 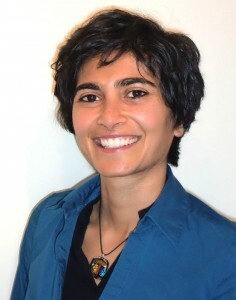 She has been a health practitioner for over 15 years, with offices in both Berkeley and San Francisco. She is an advanced clinical graduate from Ulan Nutritional Systems. Srinika has worked with thousands of clients over the years successfully navigating through diseases ranging from: Allergies, Ulcerative Colitis, Chronic Pain, Asthma, Multiple Sclerosis, Parkinson’s, Bipolar Disorder, and Depression to name a few. Srinika specializes in chronic, stubborn conditions, including auto-immune issues, and degenerative disorders. From early on, Srinika has had a passion for learning about the body and applying that knowledge to her own health. She was drawn to nutritional analysis because she has found it a comprehensive system for finding the underlying cause to most difficult health problems, and has found great success using it on many patients.